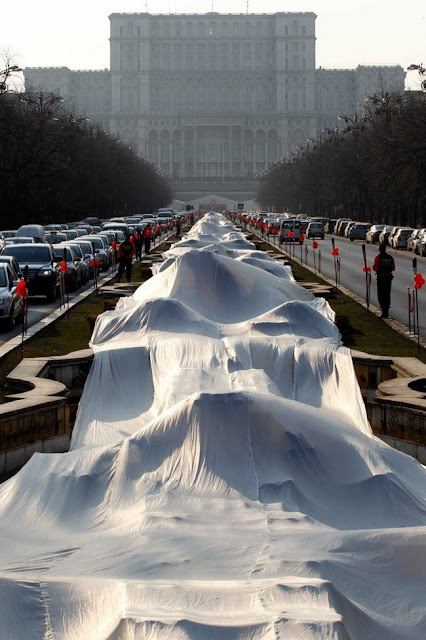 On March 20, 2012 a Guinness World Record was attempted in Bucharest, Romania for the world's longest wedding dress. 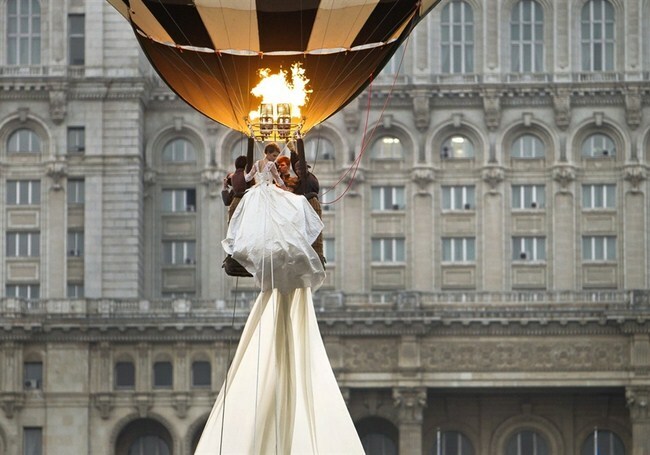 The presentation was held as a part of the annual wedding fair. 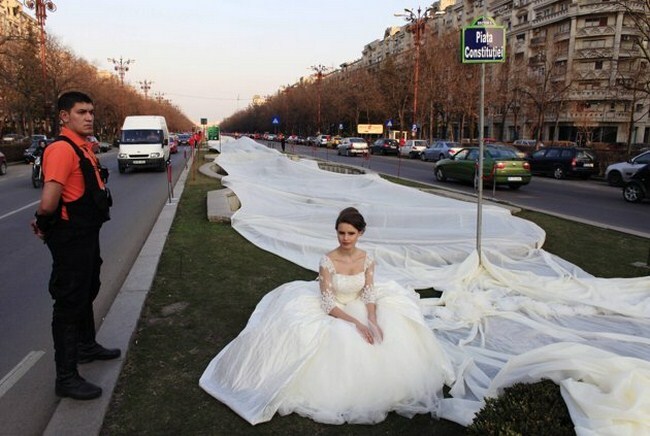 The 2,750 meter (1.86-mile) long train wedding dress broke a previous record of 2,488 meters held by a Dutch designer. 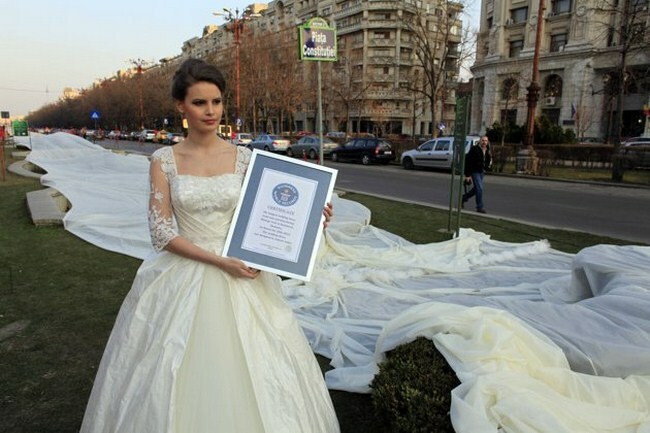 It is made of 4,700 meters of material using 1,857 needles, which took 100 days to make. 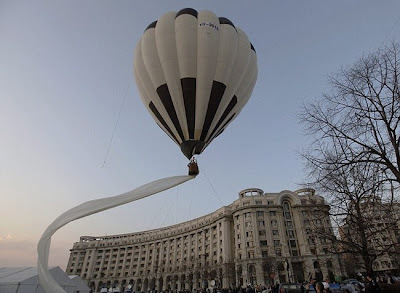 A hot air balloon lifts off in the air with Emma, a 17 year-old model, wearing a wedding dress with the longest train in the world during this Guinness World Record attempt in Bucharest. 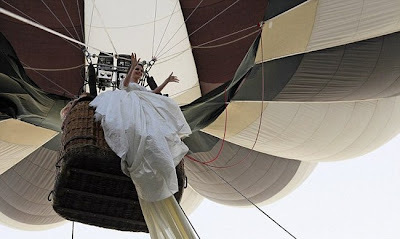 The lace which was used to make this wedding dress was imported from France, while taffeta and other fabrics were purchased from Italy, costing several thousand pounds. 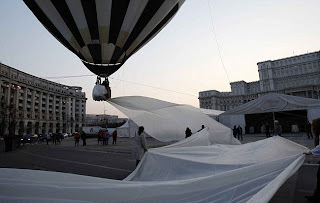 Beating a Dutch designer to the record had an added dimension for Romanians, as many are still angry after the Netherlands opposed its entry into the European Union's visa-free travel zone. 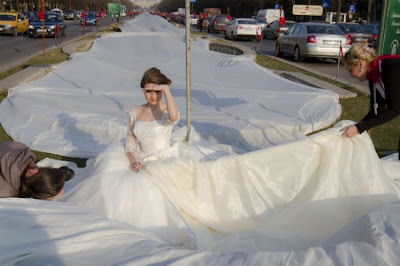 Have a look at some more photos of such a long Wedding dress.